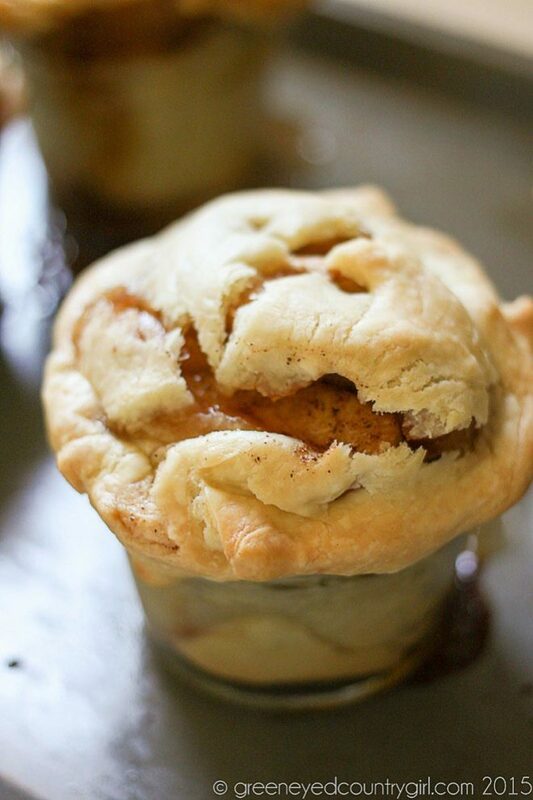 Apple pie is literally my favorite dessert. I will pick a good apple pie every single time if that’s an option. Crumb topping? even better. I had the idea to make some mini apple pies in these mason jars I got for Christmas. You could change up the fruit or filling easily. Peach, cherry, blackberry, whatever your favorite fruit pie filling is, this recipe would work. 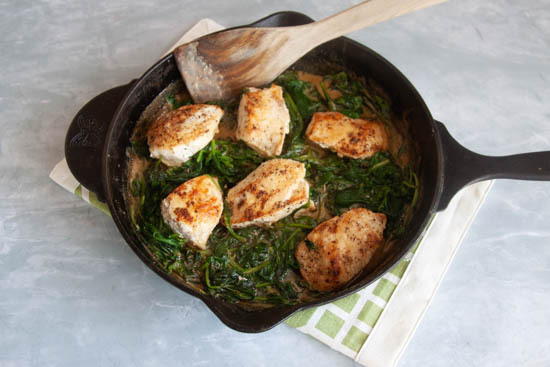 They were so easy to make and so delicious to eat! What is your favorite flavor of pie? Let me know in the comments below ↓. 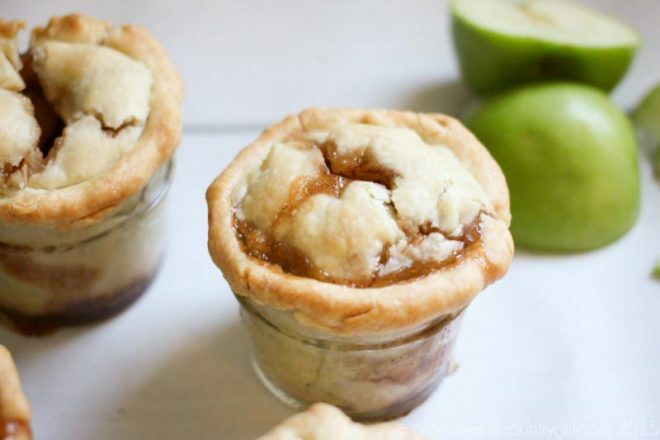 Delicious and Easy Mini Mason Jar Apple Pies, perfect Fall flavors. 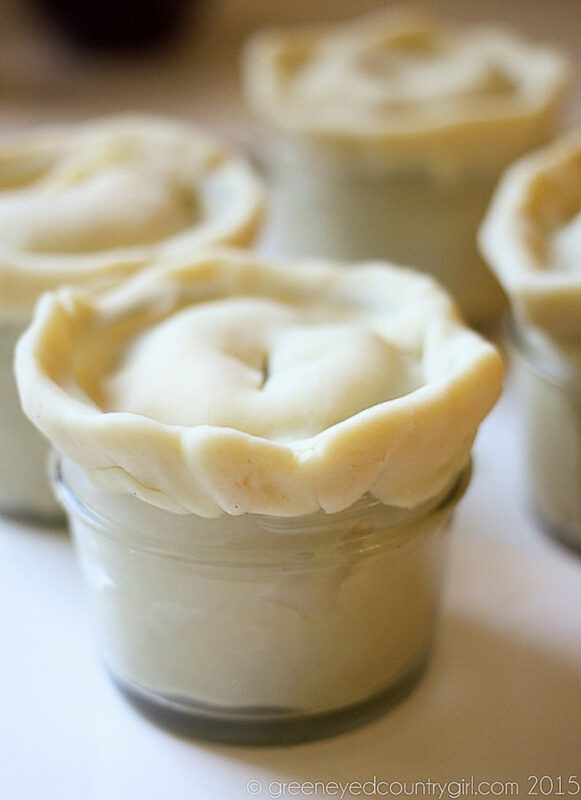 Preheat oven according to the pie crust directions. 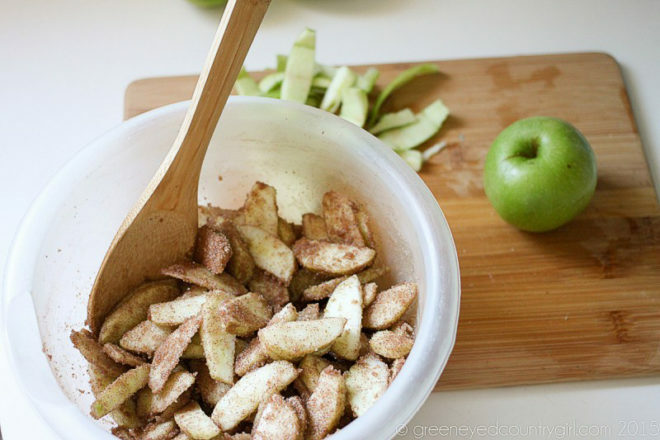 In a large bowl, mix the apple slices, granulated sugar, & cinnamon together until the apples are coated. 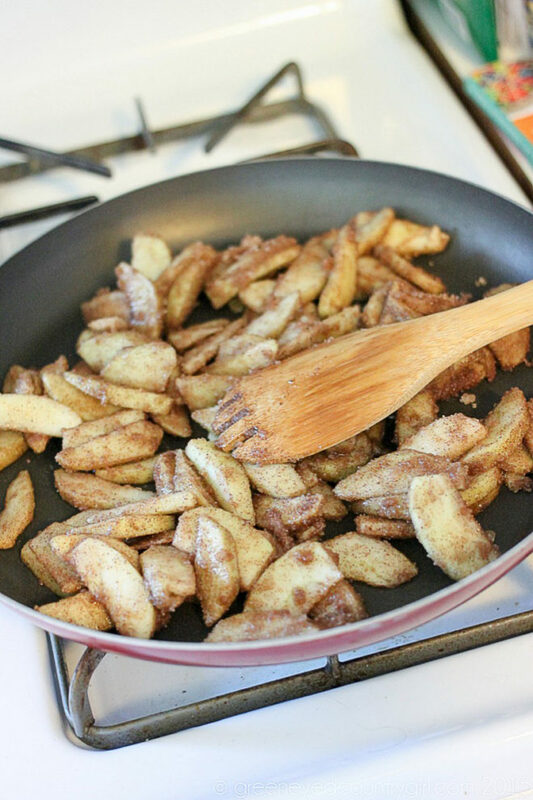 Transfer to a skillet, cook at medium heat just until the apples are tender. 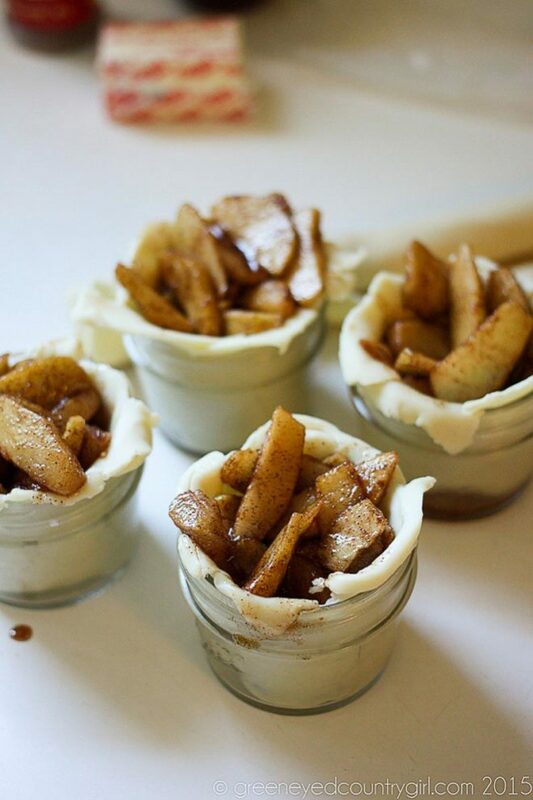 While the apples are cooking, press small pieces of the pie crust into the mini mason jars. 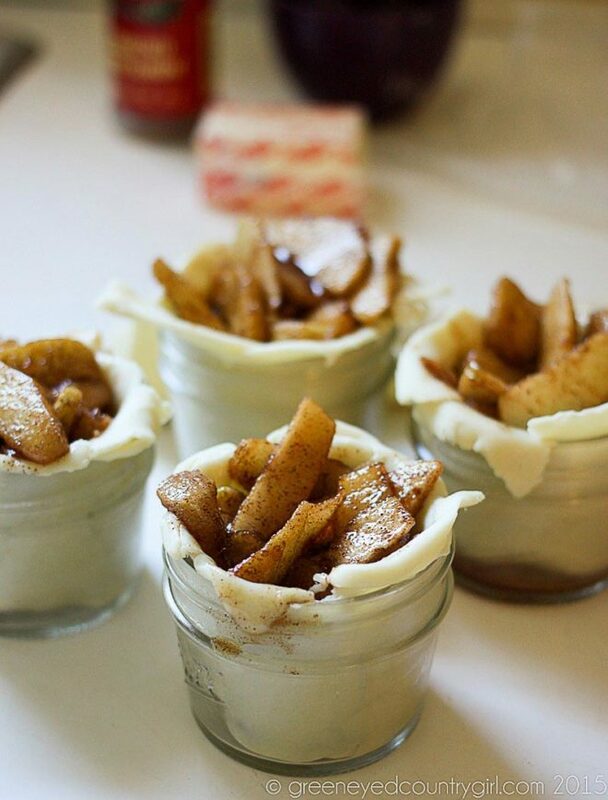 Once the apples are tender, scoop spoonfuls into the mason jars. Place a thin slice of butter over the top of the apples. 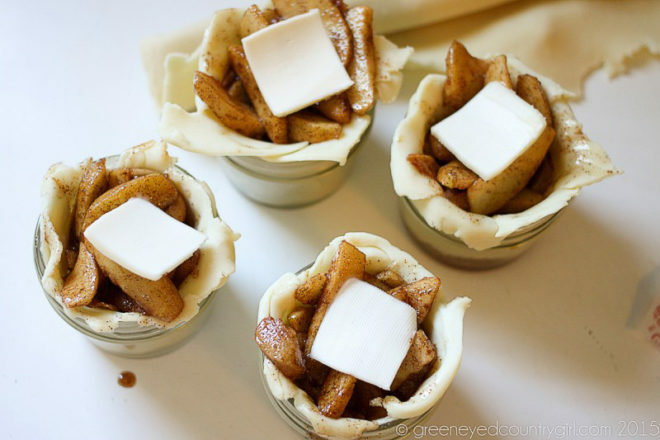 Use a small piece of pie crust and cover the apples, pressing the edges to the top of the jar. 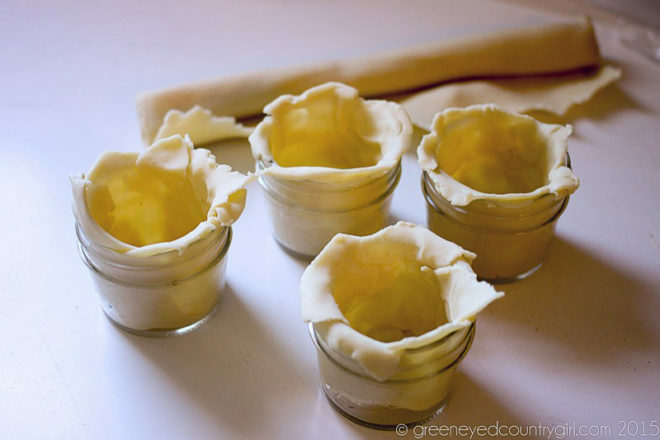 Place the jars on a baking sheet and bake for about 15-20 minutes, until the tops are golden brown. Remove from oven and let the jars cool.